The Roseville Big Band played to a full house! 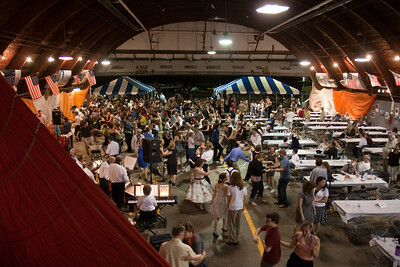 Saturday was the Minnesota Wings's spring hangar dance, held to raise money to fund the Wing's operations. 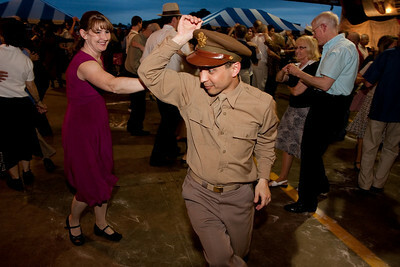 With perfect weather and some great music (as well as swing dance lessons from TC Swing and the Swing Cats), everyone seemed to be having a blast! While the B-25 and Mustang were off at an air show in Canada, the wing's other aircraft provided some great atmosphere, and the addition of about half a dozen WWII-vintage antiaircraft guns didn't hurt! 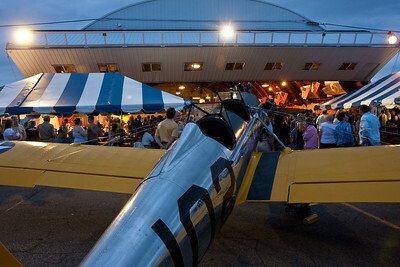 Once again I set up a photo booth to raise additional funds for the wing, this time using the beautiful PT-22 trainer as our backdrop. 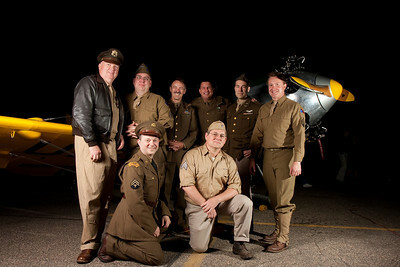 The PT-22 will actually be making its first post-restoration flight in about a month! 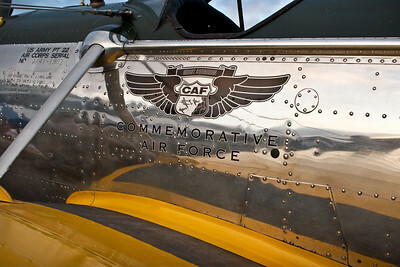 If you got your photo taken with the airplanes, just click any of the photos below to browse for yours. The dancing went on late into the night, only tapering off around 1AM! 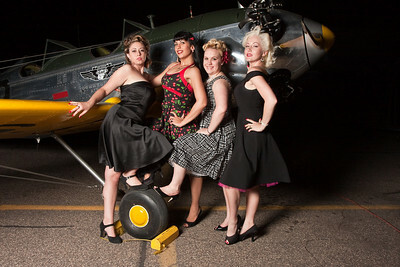 If you missed the party, don't worry, because the MN Wing will be hosting their annual Bomber's Moon Ball on September 18. Hope to see you there! What a fabulous party! The ladies are gorgeous in their outfits! Nice shots Holland. Looks like your doing well! !